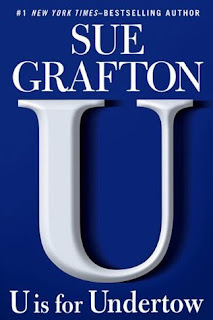 Why I want to read it: Sue Grafton's series is one of my favorite all-time mystery series, but I have not yet managed to read all the books in the series. Yet. This is next up. I just need to make time for it. Why I want to read it: Mostly because Sarah McCoy's name is on this one. I have yet to read a book by her I have not liked. Although I haven't yet read Anne of Green Gables, this novel sounds good on its own. Why I want to read it: One of my favorite quotes about reading is about how a reader can find pieces of themselves scattered in the books we read. I can't remember who said it. It is probably from some random meme on Facebook or Pinterest. Regardless, it is true. And unfortunately, not everyone is able to see themselves as clearly in books as others of us. Whether it be the color of our skin, gender or sexual identity, religion or abilities, among other things. I am so excited about this book, and I am looking forward to reading each of these amazing women's essays. U Is For Undertow sounds like a good mystery! And so does Marilla of Green Gables- I think exploring Prince Edward Island and the escaped slaves subplot sound great! The Anne of Green Gables books are so beloved it does make me curious to read about that setting. Greg - I hope to get to it sooner than later. I have enjoyed all of Grafton's novels. I thought Marilla sounded good as well. I have enjoyed McCoy's other books and so am hopeful this one will be. Thank you for visiting, Greg. Elle - Thanks for stopping by! Verushka - I'm sorry you didn't enjoy Y. I haven't gotten there yet in the series, so couldn't say. This is one series I am glad I've read in order. Thank you for visiting! Honestly, all these books kinda appeal to me. I love the sound of all three of them. But I think Marilla of Green Gables will be especially amazing. Stephanie - I hope it will be! I have really enjoyed McCoy's other books. Thanks for stopping by! I was going to buy The Well-Read Black Girl the other day. I should have purchased it. Great books this week. Mary - It sounds like it will be good! It's been awhile since I last read a book of essays. I hope we both enjoy it when we read it. Thank you for visiting! I, too, have fallen behind in the Grafton series. I think I'm up to T. On the positive side, the wait for your new picks is almost over! Catherine - One of these days we will catch up! It doesn't sound like we're that far a part from each other in catching up. Thank you for stopping by! Oooh, I enjoyed the Anne of Green Gables series, so Marilla of Green Gables sounds good! Eustacia - I hope it will be! I am looking forward to it. All 3 of those look good to me. I have a few of the Grafton books I need to go back and read. Kathy - I love the Grafton books. :-) Thank you for visiting! I haven't read Anne of Green Gables yet either. I want to though. I've heard they are good to read in the fall. I have the first four, I think. I do want to read them, but I don't know if I want to pick them up right now. I like the idea of exploring a story for Marilla. I think it's really creative. I just am not sold on the abolitionist side of the story. Not that it wasn't important. I read books to escape and wouldn't enjoy that subplot. I'm glad to find another meme. I've been wanting to do a meme that talks about older books, so I'll have to keep the Books from the Backlog in mind. Amy - I just have to decide if I want to read Anne first or jump right into Marilla. I LOVE your new choices!! 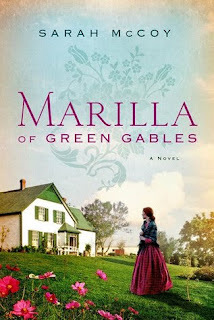 "Marilla of Green Gables" sounds WONDERFUL!! I really like the abolitionist angle, too, which ties right in with your next choice, "Well-Read Black Girls". This one is just the type of thing to help me take my mind off the current White House occupant and his racist policies! Maria - Anything to keep our minds off what is going on in Washington D.C. Even if for a little while. :-( On the plus side, I received my absentee ballot in the mail today so I will be voting soon. I hope you enjoy Marilla and Well-Read Black Girls if you read them! Thanks for visiting, Maria. Some great picks here. Hope you enjoy them when you get to them. Donna Marie - Fortunately, that isn't a problem I have. I used to feel that way about all the Austen spin-offs. Books like this can be hit and miss for me, but if the story or characters interest me enough, I am open to giving them a try. I've loved McCoy's other books and trust she will honor the material. Thanks for stopping by! I hope she does :) ...and that you enjoy it! Lark - Maybe I should make that goal too. I really should get to the rest. Thank you for visiting! Elizabeth - No, I haven't. It seems a crime, doesn't it? I didn't really know about the books when I was growing up. There's a musical? Now I have to read the series! LOL I would love to read it to Mouse. She has to be interested in it though, which she's not yet. Maybe when she's a little older. Thanks for visiting! 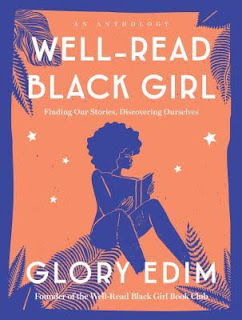 I'm definitely interested in reading Well Read Black Girl. So many amazing authors are in that collection. Suzanne - It's an impressive list of authors. I can't wait to read it. Thanks for stopping by! I haven't read any of the Sue Grafton series yet. I have the first 9 or 10 books sitting on my bookshelf so I have no idea why. I hope you enjoy all of these! Carole - Both my husband and I really enjoy Grafton's series. I think he's one book ahead of me. Or maybe we're even now. I'm not sure. LOL Thanks for visiting! You are almost there with the Grafton series! I just read a short blurb of the Edim book and that's definitely going on my list. Iliana - I am! So close to the end. I am not sure I want it to end. :-( Thank you for stopping by! I didn't know there was a book about Marilla. I'll have to look that one up. Great reasons for grabbing Well-Read Black Girl. Rooting you on to finish your Sue Grafton series. Sophie Rose - Thank you! I haven't read any of the Sue Grafton books. I'm curious about them, and always wonder if I want to start another series. Have a lovely week.